Throughout history, Jews from around the world had sought to have their remains laid to rest in Jerusalem. This has created a huge challenge for the city's sprawling cemeteries that are not able to keep up with the demand. Pastor Doug: Welcome listening friends to Bible Answers Live. Would you like to hear an amazing fact? Throughout history, Jews from around the world had sought to have their remains laid to rest in Jerusalem. This has created a huge challenge for the city's sprawling cemeteries that are not able to keep up with the demand. Since they can no longer spread out and they can't go up, the only other option was to go down in a big way. Since 2014, a team has been tunneling into the stone under Jerusalem's largest cemetery to create a new vast underground burial site. When completed, it'll contain about 23,000 graves in a series of interconnected hallways that span over half a mile. The massive underground beehive cemetery with its state of the art lighting, elevators, and ventilation system will cost about 57 million dollars. Devout Jews believe the scripture states that the Messiah will someday come to the Mount of Olives, and so they want a resting place nearby for the resurrection day. Did you know the Bible teaches the Messiah has already made his first trip to the Mount of Olives. Stay with us friends, we're going to learn more as Amazing Facts brings you this edition of Bible Answers Live. Announcement: You're listening to Bible Answers Live. Honest answers to your Bible questions. This broadcast is a previously recorded episode. To receive any of the Bible resources mentioned in this evening's program call 800-835-6747. Once again that's 800-835-6747. Now, let's join our host Pastor Doug Batchelor, and our co-host Pastor Jean Ross. Pastor Doug: We are live if you have a Bible related question or some question about living the Christian life. We will search the word together and find answers. God's promises search and you will find. If you like to call in with your Bible question tonight, beginning of the program. A lot of room for phone calls. Just pick up your phone, give us a call and here's the number again 800-463-7297. Of course, it's a free phone call. If you call and you don't have someone pick up right away. Just hang on there, they'll get to your call, 800-463-7297. Probably some question you've got about the Bible, or living the Christian life. Someone else is thinking the same thing. We always have some original questions every night. Here's the number again, 800-463-7297. My name is Doug Batchelor. Pastor Ross: My name is Jean Ross. Good evening friends and Pastor Doug once again let's start with a word of prayer. Dear father in heaven, we thank you that we have this time to open up your word and study together. We want to ask your blessing upon this program. Be with those listening Lord, and may we come to a clearer understanding of the Bible. For we ask this in Jesus name, amen. Pastor Ross: Well, Pastor Doug you opened the program by talking about a very popular place to be buried over there in Jerusalem. A lot of history associated with Jerusalem, and of course the Jewish people. It's getting a little crowded there to get your burial plots, so they're coming up with some creative ideas to pack more people into that vicinity surrounding Jerusalem. Pastor Doug: Yes, I remember the first time I went to Jerusalem and I stood on the Mount of Olives, that it seems like a quarter of it is tomb stones. Then you get around on the outskirts in the west part of Jerusalem, and it's just a vast cemetery. There are about 16 million Jews around the world, and all of them believe there's value in being buried in or around Jerusalem, because of the Jewish faith. Orthodox Jews, they don't cremate, so it takes a little more space obviously and they're just plumb. They can't keep up with the demand. Actually, a man that had to drive by one of these cemeteries everyday. He saw it kept getting bigger and bigger. He said, "This isn't good for the landscape, and it takes away from the living." He was a tunneling engineer. He said, "We need to just build something underground." Jerusalem of course is famous for being honeycombed in the rocks, the lime stone with tombs already and he said, "Let's dig a great big beehive cemetery underneath the existing cemetery." You can't see the pictures on the radio, but I'll tell you. You can look online, and it is massive. Just think about it, half a mile long. It's a long way to walk through a cemetery above ground. They're taking this very seriously, and they've got holes all up the wall. Just like the little cubicles where you see the nursery in a beehive. They think this will keep them 25 more years, and then they'll run out of space again, so it is really something. People have actually misunderstood. Now, the reason that many Jews want to be buried around Jerusalem. Especially, the Mount of Olives is based on a prophecy find in Zechariah 14 verse 4. Speaking of the Messiah, and the end of the world. Says, in that day his feet will stand on the Mount of Olives that faces Jerusalem. It's just over the valley from Jerusalem. From the Mount of Olives, you get the very best view of the Temple Mount and so they thought, "Messiah's coming here, that's where we want to be." That prophecy in Zechariah was fulfilled about 600 years later, maybe it's about 500 years later. When Jesus came into Jerusalem and it says, he went down from the Mount of Olives, and the multitude and the disciples began to praise God for his mighty work saying, "Blessed is the king who comes in the name of Lord." They declared him to be the Messiah way back then 2,000 years ago as he came down the Mount of Olives. It's in the Bible referred to as the triumphal entry. There are a number of Jews. Of course they weren't Christians back, and those were all Jews who believed he was the Messiah. Few days later, he died on a cross and they weren't sure what was happening, but then he rose again. It would nice to have a front-row seat of the resurrection on the Mount of Olives when Jesus comes, but it really doesn't matter where you're buried as long as you're ready for his coming. Now, when Jesus talked about his second coming and signs of his second coming, guess where he did that? On the Mount of Olives, and you read that in Matthew 24. As he sat on the Mount of Olives the disciples came to him privately saying, tell us when will these things be? What will be the sign of your coming, and the end of the world? Not only did he ride down that mountain where they declared him the king. From that mountain, he talked about when he comes the next time and his feet touch the Mount of Olives when the Messiah comes back, so the Jews are right about that. The Messiah's feet will touch the Mount of Olives. It'll be the second coming of the Lord, and he foretold that. That of course takes place not just when he catches the saints up, but at the end of the 1,000 years. You may want to understand that subject friends, and we have a free offer that'll tell you more about the Lord's return. Pastor Ross: We have a book called The Last Night on Earth, and we'll be happy to send this to anybody who calls and asks. It's all about the second coming of Jesus. Certain events that'll occur when Jesus comes again. To receive this book, call our resource phone line. That is 800-835-6747, and just ask for the book called The Last Night on Earth and we'll be happy to send it to anybody who calls and asks. If you have a Bible question, the phone line here to the studio is 800-463-7297. I want to repeat that, so grab something to write down the number, 800-463-7297 or 800-GODSAYS. Looks like we have phone lines open. This is a good time to pick up your phone and give us a call, and we'll try and get your Bible question on the program tonight. With that, I think we're ready to go to the first caller this evening. We have Daniela listening in California. Daniela, welcome to the program. Pastor Doug: Hi, and your question tonight. Daniela: My question is, how can God be in the past, present, and future? Especially in the past. Pastor Doug: All right that's a good question. Now, how old are you Daniela? Pastor Doug: I tell you, you're asking a very big question for a nine-year-old. It's you're asking how can God exist in all the different times, and especially in the past. Well, there's some things about time we don't really understand. God in the Bible has taken prophets forward in time and shown them things that will happen in vision, and they happened exactly like God told them. God takes some prophets back in time. He does this in Revelation chapter 12 with John, when he shows them the war that took place in heaven, where Satan made war against Jesus. He shows them things that happened in the past. God, because he's so big, he can actually live in the future, he can see the future, he can see the past. There's nothing that God doesn't know. He knows everything that will happen and everything that has happened, and he can show it to people. It is a mystery that we can't explain. There was a very famous scientist named Albert Einstein. He found out that you can actually travel through time a little bit into the future, if you could go faster than the speed of light. We're just beginning to learn a few things about time and how it works. Hundred years ago, Daniela, people didn't understand how cell phones would work. They didn't know how TVs would work. How in the world could pictures go through the air and end up in someone else's box? Now we understand it. We don't understand now, how God can control time, but someday we will. That's a good question. Thank you. Pastor Ross: Thank you for calling Daniela. Our next caller is Sherry listening in Michigan. Sherry, welcome to the program. Pastor Ross: Oops, I think we lost Sherry there and looks like we're having some technical difficulties here with our phone lines. Friends, if you have a Bible question, give us a call, especially those of you who are on hold looks like we might have dropped the call. Give us a call back and we'll try and get your Bible question on the program tonight. The number here to the studio is 800-463-7297. Again, that's 800-463-7297. Again, if we're on hold and you had called in with your Bible question and suddenly the phone was disconnected, looks like we might be having some technical challenges. Give us a call again and we'll try and get your Bible question on the program today. Let's see if we can get a few of those callers back that were on hold. We're going to maybe give them just one moment. Pastor Doug: Let's just take one live here. Pastor Ross: I don't know if I can take it just yet Pastor Doug, we've got to give them just a few more. Pastor Doug: Usually our calls go through an operator here in the studio, that just gets the basic information and our callers are generally pretty nice. I thought, "Well, just take one hot off the air." There we've got a caller. Pastor Ross: All right, here we ready to go? I think we have Melton listening. Melton or Sherry, welcome to the program. Sherry: Hi, how are you? Sherry: All right. Okay, my question was, we just got cut off just a minute ago but my question is when Cain went out of the field after he killed Abel, who were these people? Were there any other people on the earth besides Cain and Abel? Pastor Doug: Well, Adam and Eve, of course, had other children. If you read in Genesis 5, it tells us that Adam and Eve had sons plural and daughters and of course, God told Adam and Eve be fruitful, and multiply, and their health and all the reproductive hardware was working perfectly. Adam and Eve, living over 900 years, probably had many many children. It only talks about the firstborn to begin with, which was Cain, Abel and then after Abel was killed, it talks about Seth. Cain, knowing that he was going to be infamous among the other people in the world for this murder, he said, "Now men are going to try and kill me." That's why he refers to other people. He's looking down the line and he thinks over time, the people that multiply, they're going to look upon me as the great offender. Do you see what I'm saying? Then he ultimately, Cain, it says he took his wife and he went east to the land of Nod and his wife was probably one of his sisters or had to be. Which I know sounds strange, but Adam technically married his sister when you think about it. Adam and Eve had the same creator. Jean We do have a verse in Genesis 5 verse 4 that says, speaking of Adam and Eve, and he begat Seth. This is after Abel was killed. It says the days of Adam were 800 years then it says he had sons and daughters. It's pretty clear there that they were more than just the three sons that Adam and Eve had. Pastor Doug: Thank you, Sherry. I hope that helps a little bit and that tells you a little bit about who some of the people were in the world back then. All right, appreciate your call. Jean Next caller is Sierra. Sierra, welcome to the program. Let's see if we can get Sierra. Oops, looks like we lost that call. We're having some again, calls just dropping off here. 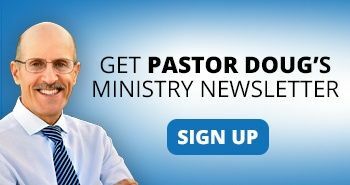 I'm not quite sure why that is Pastor Doug. Let's see if we can try a different caller here. Pastor Doug: If you got to cut off tonight, we apologize. Don't know what happened but call us back. We are getting a couple calls through so something's working. Jean Right? Well, let's try one more call and I'm not quite sure who this caller is yet. Pastor Doug you're going to have to talk on here until we can get the name up on the screen. For those of you who are listening, we're live and sometimes we do have some challenges with our calls that come in or don't come in. We've got to wait until they can process it and get it up on the screen here so we can see who's calling. Pastor Doug: Yes, by the way, we ought to be telling people while we're waiting about they can listen to Bible Answer Live archives at the website. We have not only do we have the Bible Answer live program, Amazing Facts has scores, I bet you we have over 100 YouTubes that people can watch our sermons. We just created a new one last night. Had a wonderful Christmas program there at the church and I think that's been posted up on Facebook. Jean Again, we like to remind people of taking a look or go over to the amazing facts website just amazingfacts.org. There is just a host of material, there are Bible Answer Live programs that you can listen to. Also a lot of videos, a lot of written material, if you have questions on different Bible doctrines, you can actually search through all of that. Yes, it's a great study resource. In addition to that, we do have a free Bible school and if you're interested in studying further, just take a look at the amazing facts website. 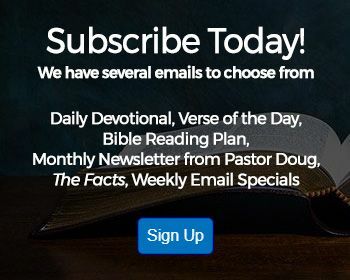 You can click on a link that says the Bible school got a brand new set of lessons that folks can go through and study. This gives you a wealth of Bible information and truth. Well, we're still working on the phone lines here Pastor Doug. Pastor Doug: We don't have this problem very often where we're speechless because we're here to answer questions. We've had something happened where there's a gremlin, the calls come through, we see them pop up and when we go to take them, they evaporate. If you have a Bible question, friends, don't give up on us. Give us another call and we'll take your Bible question. Pastor Ross and I just finished doing a series in Washington DC, or the Washington DC area, I should say, called The Foundations of Faith. If you just type in the foundationsoffaith.info, you'll see that we did nine presentations that talk about the reformation and some of the areas where the Reformation needs to continue. You may want to just take a look at Foundations of Faith. We got a lot of great information there. Think we had a call ready here. Jean All right, let's go to our next caller. We'll see is that somebody by the name of ER, perhaps available? Pastor Doug: Caller on the air, hello? Pastor Doug: Yes, you're on. Jean Sorry, we don't have your name up on the screen. I'm glad you responded. We can hear you. Chuck: My name is Chuck. Jean Hi Chuck, and your question this evening. Thank you for holding on. Chuck: Yes. My question is, why wasn't the rapture ever mentioned by any theologians before the 20th century? You don't hear anything about it from at all, until like the last part of the 19th century and the 20th century. Otherwise, it never ever was it mentioned. Pastor Doug: Well, you've got a good point because now the idea of the rapture is that we're going to be called up to meet the Lord in the air. That's in the Bible in 1 Thessalonians where it says, the dead in Christ will rise that the Lord will descend from heaven with a shout, the voice of the archangel, the trumpet of God, the dead in Christ will be caught up. That's what they think of when they think of the rapture when we're caught up to meet the Lord. But you're right, the idea of a secret rapture and people being left behind for seven years of tribulation. Christians historically, always believed the tribulation was before the second coming. The idea that the second coming happens before the tribulation is a comparatively new teaching. You're right on there, Chuck. Chuck: I've got, can I say one more thing real quick? Pastor Doug: Sure, yes. If you have another question. Chuck: Well, it's a statement. If the dead in Christ already was risen when he rose, the dead in Christ rules right then. They walked around people, this is the people walked around at time. Couldn't that possibly be what they're talking about already happened? Pastor Doug: Yes, well, when Jesus rose, there was a group. It doesn't say that all the saints that slept. There were some that were raised. Because even after-- Yes, there was a small group that Christ took to Heaven, because after Jesus went to Heaven, after his resurrection Paul still said the resurrection was future. If you look in John chapter 11 when Martha said, "Lord, if you'd been here my brother wouldn't have died but even now I know whatever you ask God will give you." Jesus said, "Your brother will rise." She said, "Well, I know he'll rise again the last day." They always believed that resurrection was at the end of the world which is correct. It says it's with the second coming of the Lord. Paul said in 1 Corinthians 15 that the dead in Christ rise at his coming. A lot of people believe that the resurrection happens as soon as you die but the general resurrection is at the second coming of the Lord. Pastor Ross: You know . Chuck: That's when you get the new body and everything. That's when we get our new body and we'll never sin no more. Pastor Doug: Yes, we get our new bodies. It says in 1 Corinthians 15, "In the moment, in the twinkle of an eye at the last trump, that's when we're going to be raised again. Hey, we appreciate your call. We do have a book? Pastor Ross: Yes, I was going to mention. Ideal for the subject called Anything but Secret. We'll be happy to send this book to anybody who calls and asks Chuck, this might be a great resource that you'd like to look at. It's free all you have to do is just call and ask for it. The number to call is 800-835-6747 and ask for the book called Anything but Secret. All about the second coming of Christ and also talking about the resurrection. We'll be happy again to send this to anybody who calls and asks. Friends it looks like we've fixed up at least for the time being, our phone system that gave us a hard time just a few a moments ago, so if you have a Bible question it's a good time to give us a call. The number is 800-463-7297. Again that's 800-GODSAYS. 800-463-7297. If you don't get through right away just stay on the phone and we will try to get to your question. All right, one more time here it is, 800-463-7297. Great time to give us a call with your Bible question. Our next caller is John. John welcome to the program. John: Thank you. I'm proud to be on. Pastor Doug: I appreciate it. Your question tonight. John: I'm traveling so I'm doing it from memory so I'm not going to do it justice but there is a verse that says, "Even the crumbs from the masters table, the dogs eat. Don't feed your pearls to swine." I don't understand what that means. Could you help me please? Pastor Doug: Yes, I will but I think you're probably mixing two different parables. There is a parable where a woman-- Well,it's not a parable, it's a true story where a woman comes to Jesus and said, "Can you heal my daughter?" She was a Syrophoenician woman. That means she was from the Northern region up around TYRE and Sidon. Jesus-- She's a Gentile, she's not a Jew and Jesus said something that's really troubled a lot of people. He said, "It's not appropriate to take the children's food and give it to the dogs. Pastor Ross: That's Mathew chapter 15 verse 26 is the reference there. Pastor Doug: Right, and she responded but yes, even the dogs get the crumbs that fall from the children's table. Jesus said, "Great is your faith, your daughter is healed." He was testing her faith. Then there is the other verse where you said that-- It says that-- I believe it's in 1 Peter where it talks about the pig that was washed has returned to wallowing in the myre, the dog returns to its vomit. That's really-- If you talk about a dog again but it's a different parable. Peter is quoting a parable of Solomon where he talks about somebody that-- They've not converted in their heart and they might outwardly do the right thing for a while but then just run back to the pig pen. Pastor Ross: Then also you have the reference there in Mathew chapter 7 verse 6 where it says, "Do not give that which is holy to the dogs or cast your pearls before swine." Pastor Doug: Right. That might be the one you're speaking of. Pastor Ross: That's the one, yes. John: Yes, that's it. Thank you so much. Pastor Doug: Absolutely, and yes, we appreciate your question tonight. If you're interested we'll be happy to send you our free resource tonight called Last Night on Earth. Just call and we'll send it to you. Pastor Ross: The number to call to get that free resource is 800-835-6747 and the phone line here to the studio is 800-463-7297. We have David who is listening. David welcome to the program. David you're on the air. Pastor Doug: Hey, David I think we got your radio on the background. There's a time delay. You're on air. Pastor Ross: You know what? I think we just lost David. Hopefully our phone line system will start working correctly here in just a minute. Pastor Ross: Let's try Harry. Harry, welcome to Bible Answers Live. You're on the air. Harry: Good evening Arkansas. Are you boys doing all right tonight? Pastor Doug: We are. Thanks for calling in. Harry: Well, my question was on tithing and the fact that I cannot find any reference to tithing in the Bible except for Hebrews 7. I believe it's verse 7 and 8 or maybe 8 and 9. It just seems like every one of the mega churches today and even my own church they really emphasize tithing and I've always had a problem with that because it's not actually mentioned in the Bible except in Hebrews. I'm just wondering what your take on that is. I know that it's a question to ask a pastor but I apologize for that. Pastor Doug: Yes, when Abraham gave tithe to Melchizedek. He gave a 10th and that's what the word tithe means. Harry: That wasn't a tithe, that was spoils of war. Pastor Doug: You're right. It says but he gave him a 10th. All right, let's move on then. Then Jacob said,"Lord if you bring me safely back to the promised land--" Because he was going to get a wife in the land of Mesopotamia, he said "A 10th of all I get I'll give to you." That's the word tithe. It simply means 10th. It's the same word. Then if you go to Malachi 4-- No, sorry, Malachi 3, God says, "You've robbed me, yet you say how have we robbed?" God says, "In tithes and offerings." He says, "Bring all the tithes into the store house and prove me and see if I don't open for you the windows of heaven. The plan God had in the old testament for supporting the priesthood is one-tenth of the increase of their fields and their orchards and their vineyards, they would bring to the sanctuary, to the storehouses and it would help feed the Levites that then we're ministering to the people throughout the land. The Levites were not only priests, they were also something of the- they were medical missionaries, they were the judges, they had a number of responsibilities. But if you don't mind holding on for just a moment more, we're going to take a break in just a minute and we can get you some more verses on tithe. Of course, we've also got that passage where it talks about the tithe is holy onto the Lord and when it was set aside for the Levites. There are some new testament passages too. Standby friends we're going to come back, continue this question. We do have some lines open if you have a Bible question. Here it is, free phone call 800-463-7297. Please don't go away, we're coming back. Announcement: Stay tuned. Bible answers Live will return in a moment. Pastor Doug: Okay friends, let's start with the basics. We know we're here, but we're not here for very long so the most important thing would be, if we could learn during this life how to live forever. This is the central focus of Amazing Facts and there's a lot of wonderful things that Christian ministries do. I believe in Christian education, but if the schools lose the message of salvation you end up with more educated sinners. 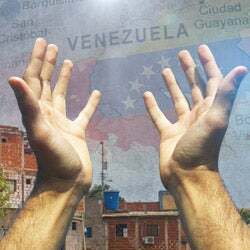 I think it's very important for us to build churches, but if the churches lose the message of salvation, they just become buildings and shells. I think it's important to have a medical ministry and build hospitals, but if they separate that from the message of salvation you just prolong a sinner's life for a little while. That's why for years, amazing facts has made it our focus to present the saving tree that sets people free. Friends we want to thank you for your support and your gifts. We'll do our very best to convert those resources into the currency of heaven. May God bless you and keep Amazing Facts in your prayers. Announcement: Written by the hand of God and spoken with his voice. Some words will never fade. Announcement: Amazing Facts offers some of the best Christian resources for all ages. We hope our products will enrich your life and your walk with the Lord. Enjoy incredible facts and inspiring spiritual lessons in a world of wonders daily devotional. With facts from nature, science, history, technology and more, it's great for the whole family. Announcement: Every Bible question you have answered, moves you one step closer to the fullness of God's will for your life. What are you waiting for? Get the answers you need for a fuller, richer, more confident life. You're listening to Bible Answers Live. This broadcast is a previously recorded episode. If you'd like answers to your Bible related questions on the air, please call us next Sunday between 7PM and 8PM, Pacific Time. To receive any of the Bible resources mentioned in this evenings program, call 800-835-6747. Once again, that's 800-835-6747. Now, let's join Pastors Doug Batchelor and Jean Ross for more Bible Answers Live. Pastor Doug: We're back listening friends, if you turned in along the way this is Bible Answers Live. If you have a Bible question, you heard the number here it is again 800-463-7297, a free phone call. You get a free chance, ask any Bible question or a question about living the Christian life, and we'll do our best to give you a Bible answer. My name is Doug Batchelor. Pastor Ross: My name is Jean Ross. Pastor Doug, just before the break we were talking to Chuck about the question on tithing. Where is that mentioned in the Bible and what are the principles connected with that? Before we move on to the next call, we didn't have a chance to actually mention a resource that we have on Amazing Facts that talks about finance and the Christian. It's called In God We Trust. We'll be happy to send that out to anybody wanting to learn more about our responsibility as Christians with reference to finance. Again, the number to call if you would like to receive this free offer is 800-835-6747. You can ask for the study guide called In God We Trust and we'll be happy to send that out to anybody who calls and asks. Pastor Doug: Yes, we told Chuck that there is of course, several verses in the New Testament, but one is where Jesus says in Matthew 23:23. He said, "You pay tithe of mint and anise and cummin, but you omit the weightier matters of the law, justice, mercy and faith, these you ought to have done and not leave the other undone." He says, "Do not leave the tithe paying undone but make sure you don't forget the priority of justice, mercy and faith." I think he also mentioned Hebrews and that's true tithe is mentioned there as well. In the New Testament, they did a lot more than just give tithe, they would sometimes sell houses and lands, and invest in them spreading the gospel. Those just a few verses for you and the best thing to do would be send for the Study Guide. It is filled with the references. Pastor Ross: Okay, next caller that we have is Charles and listening in Alabama. Charles, welcome to the program. Pastor Ross: Yes, we can hear you. Charles: Okay. I'm going to ask rather about unusual question. I was introduced to a book and I have no idea what to make of it. I want to know, have you ever heard of it, and if so, what's your opinion? It's called The Urantia Book. That's spelled U-R-A-N-T-I-A, if you're curious. Pastor Ross: Urantia, is it connected with the Bible or Christianity? Charles: Well, that's questionable. It claims to be Christian based to have their own version of Adam and Eve, their own version of Jesus. It takes the Bible and basically deliberately misinterpret it from what I've read about it. Pastor Ross: Who wrote it? Charles: Well, that's the unusual thing. There's supposedly no human author. They don't like to say it, but it was what we would call a channel. They don't say that, they say it was a miraculous book, the believers in it. I was curious if you would have heard of it? Pastor Doug: Yes, on the program here, we take the position that the Bible is the Word of God, and that we use it as the foundation. Jesus said the wise man builds on the rock of his word. It's not what other people write. The writings of men come and go and they're like the sands of time. The Word of God is the rock that has endured the test. Do have a question about the Bible, or the Christian life? Charles: Well, the statistic that I've read 98% of the quotes in the book comes from the Bible. That's why I was curious what your take on it was, but I appreciate the answer. Pastor Doug: Yes, never read the book before, so I probably can't be a very fair judge of how to relate it, but it sounds dubious. Pastor Ross: We do have a book about the Bible, talking about the authorship of the Bible. How that the prophets spoke of all being moved by the Holy Spirit, and how the Bible is being preserved. It's called The Ultimate Resource and we'll be happy to send this to anybody. This will build your faith in the Word of God that you can trust the Bible. The number to call for that is 800-835-6747. You can ask for the book called The Ultimate Resource. It's all about the Bible. I think you'll find it very encouraging. Our next caller is Susan. Susan, welcome to the program, you're on the air. Susan: Yes, hello. My question is about myself, I terminated a pregnancy about 35 years ago. Since then, I've been born again, I've asked for forgiveness. In my heart, I just don't feel forgiven, I don't know if that's my own lack of being able to forgive myself. I'm sure there are a lot of women out there that struggle with this. I'm just wondering is there possibly any answers for me to help know that God has forgiven me? Pastor Doug: Well, first of all the only sin that is not forgivable, is the unpardonable sin. What you're describing is not classified as the unpardonable sin that means it is forgivable. Now, when Jesus forgives your sin, he doesn't say I'm going to give you 90% forgiveness or 75% forgiveness, it's 100%. You read, "If we confess our sins," and this is 1 John chapter 1, "He is faithful and just to forgive us our sins and to cleanse us from all unrighteousness." He completely forgives us. Isaiah says, "Though your sins be like scarlet, they'll be white as snow. Though they're red like crimson, they will be as wool." He tries to use words to describe complete purity. This is what David prayed about when he confessed his sin. He said, "God wash me with hyssop that I will be clean, I'll be whiter than snow." Pastor Doug: Moses was guilty of murder. Pastor Ross: That's right. He killed someone. Pastor Ross: Not only was David guilty of the death of Uriah, he was guilty of the death of the soldiers that were with Uriah that died in that conflict, and David was guilty for the death of the child. God forgave David. Pastor Ross: This is the same kind of principle I think you're asking about? Susan: Yes, it is. Yes. Pastor Doug: You've repented, the Bible Promises if we confess our sins. If we repent, we tell God we're sorry, that He will forgive us. He looks upon you, as though you've never sinned. Now, if the devil keeps waving your sin in your face, you just say, "Look, Jesus has forgiven me, and I embrace that." God forgives your sins, it says he cast your sins into the depths of the sea. Don't forget the Lord said, "Via faith you can say to the mountain be plucked up and it'll be cast into the sea." Then he says, "Your sins are cast into the sea." It's really a mountain of sin that's cast into the sea by faith in Christ. He puts up a no fishing sign, God doesn't want you fishing up your sins he's forgiven. Susan: Okay, thank you very much. Pastor Doug: You're welcome Sarah, God bless. Pastor Ross: Next call is Bill listening in Washington. Bill, welcome to the program. Bill: Oh, Thank you. Hi, Doug and hi, Ross. When things get settled down there and the Lord creates a new heaven and a new earth. My question is, will there be unclean animals in the New Heaven and new earth because the Lord says the pig is unclean, you ain't supposed to touch it, the lobsters and all those bottom fish and everything. They'll be no more seas so I wouldn't need those. What about the vultures? They would need those birds of prey anymore or will they be unclean animals in the New Earth? Pastor Doug: Well, will there be thorns in the New Earth? Thorns and thistles came out as a result of sin. There will be flowers, there'll probably be roses, but there won't be thorns on the roses. There probably will be animals that like some of the scavengers, but they're not going to be scavengers, because the Bible says the lion is going to eat grass. The lion is still there, but he's changed. The pigs will not be unclean because their diet's different. The vultures will not be unclean, their diet's different. I don't know Pastor Ross what you think but I think God's can have all kinds of interesting animals. They're just not eating each other. Pastor Ross: Well, you know also talking about the earth created in the beginning, talks about all of these different kinds of animals. I think the reason between clean and unclean is they need to be a clear distinction between which of the animals could be used for sacrifices. You could never sacrifice an unclean animal so a distinction was made. Then after the flood God permitted the clean animals to be eaten because there was a shortage of vegetables on the earth or grains or whatever it might be. The animal in and of itself all of us have or many of us have pet dogs, a dog would technically be unclean. Some of them just have some wonderful character traits that we appreciate. I don't think there's not going to be any of those kind of animals in heaven. Pastor Doug: Sure. It says they're going to be wolf that's in the dog family. Pastor Ross: There you go. Pastor Doug: The wolf lie down and even says the snake will be there. Says, "The child will play on the hole of the venomous snakes." I think the answer is yes, there will be animals that we call unclean now, they're of course unclean for food or for sacrifice. All the animals that were either carnivorous or scavengers were unclean. I'm sure they'll be all kinds of animals they just will not hurt or destroy. They won't eat each other in the New Earth. Did that answer your question? Bill: Yes, that is fine. I'm hoping the snakes will not fly but I don't know. Pastor Doug: Well if they do you won't have to worry about it because they'll be harmless. Nothing is going to hurt. They had serpents in the Garden of Eden and until the devil possessed the serpent, serpents were just another creature God made. The devil can possess an animal, the devil possessed pigs in the New Testament and God possessed the donkey in the Old Testament. There's nothing wrong with the pigs or the donkey or the serpent, it's just that it's the spirits that possess them. Thank you very much. Good question. Pastor Ross: Next caller is Donna. Donna listening from Maryland. Donna you're on the air? Donna: Good evening, Pastor Doug and Pastor Jean? Donna: My question is, can you tell me who the 24 elders are, that are around the throne of God in heaven? Pastor Doug: Yes. You're referencing Revelation chapter 4, where we have a description of the heavenly throne room and it talks about God the Father seats upon the throne and talks about the four living creatures that make up the throne. Then it says these 24 elders that was surrounding the throne. There's been two suggestions as to the identity day 24 elders. The one I think has more scriptural support, the idea being that those who are resurrected at the time of Christ resurrection that they ascended up with Jesus to heaven, which the Bible does indicate occurred. Some say, well, maybe they're the 24 elders. There's another line of thought that I think is more biblical, and that is that the 24 elders would be the representatives of the other unfolden worlds. Now you remember in the story of Job says that the sons of God presented themselves before God and Satan came, and God asked Satan where did he come from? All from walking up and down on the earth. Psalms talks about the Lord reigning before his elders gloriously. There's other biblical references to the idea of the elders being the representatives. Probably Adam would have been amongst them had he not fallen, and turned over the leadership of the earth or at least the representation of the Earth to the devil. Christ has now earned the right again to be the representative. He's referred to as the second Adam in the New Testament. Pastor Ross: If you look in the Old Testament, David when he set up his kingdom, and even during the time of Solomon, they had 24,000 people that were set aside to work in service in a rotation in the temple and they were leaders of that 24,000. They were like 24 elders that he had that to help with the Ministry of the sanctuary. It's even more reminding us that in God's heavenly temple, there's these leaders that represent other worlds just like David had and Solomon in their earthly temple. Donna: If Jesus is in heaven and he represents the earth now, would he also be Jesus our Savior and one of the elders? Pastor Doug: No, all the other elders in Revelation surrounded Christ. That would be 25, including Jesus. Jesus, he's God the Son, He's the not only the leader and representative of this world. Pastor Ross: We're the only world where the creator is our representative so to speak, because of course, Christ created us. He redeemed us. He is worthy of worship. He's been a second Adam in that sense, but he is also God. Donna: Very good. I appreciate your answer. Pastor Ross: Thanks for calling. Pastor Doug: Thanks so much. Pastor Ross: Next caller here is Dean listening in Michigan. Dean welcome to the program. Dean: Good evening, and God bless you both. Pastor Doug: Evening. Thank you for calling and your question. Dean: This has been on my mind for a long time. In the time that Jesus walked the earth, then the three part question. How long was a generation? How many years? Pastor Doug: Probably 40 years and do you want me to give you reasons for that from the Bible, or you just want to take my word for it. Dean: No, I'll take your word for it. Today, I believe it's 20 years is a generation. Pastor Doug: Well, that has nothing to do with biblical reasons. People say 20 years now because typically a person gets to be between 18 and 25 is when they get old enough to enter the armed services devote and they're driving insurance goes down. 25 they say your brain is-- They measure generation when people start families, typically somewhere between 20 and 25 it used to be people got married earlier. In the century, people got married at 19 and 20. Now the marriage age has been pushed back. Dean: When Jesus gave his prediction of when his return was, he said, in that generation, shall we see the Son of God come back in a cloud. Now, having said that, and I'm just going back to Israel, when Israel was founded in 48, it's been over 40 years. This is where I'm conflicting with, you're saying it's 40 years, but it's been past 40 years. Pastor Doug: Well, let's talk about that. At the beginning of that prophecy, the disciples asked Jesus, "What do you mean there will not be one stone left upon another in the temple?" See, they were just showing Jesus why we've got the greatest and national Temple of any country. Massive stones that were brought by Solomon and King Herod. Jesus said, "Don't you see these things is not going to be left here one stone upon another that will not be thrown down." Well, let me finish. Jesus makes that prophecy, He makes that prophecy in 30AD, 40 years later, exact Bible generation in 70AD, the Romans destroyed the temple and they did not leave one stone upon another exactly what Jesus said. That's what he's referring to. He wasn't referring to the reestablishment of Israel. Dean: In that generation, after Israel's that the second coming of Christ would come. Pastor Doug: No, they asked three questions. Dean: Their generation shall see Him. Pastor Doug: I respectfully disagree. The disciples are asking Jesus three questions if you read in Matthew 24. They came to Jesus after he made this outrageous statement that there wouldn't be one stone left upon and this is Matthew 24. I forget the exact verse Pastor Ross. They asked him, when will these things be? What will be the sign of your coming and the end of the world? The first question is, when will these things be what things? Not one stone left upon another in the temple. Part of Jesus answer is answering their first question, when will the temple be destroyed? When will Jerusalem be conquered? Remember Jesus going to the cross, he said, "Women of Israel, don't weep for me, weep for yourselves, because the day is coming when, they'll say blessed is the womb that did not bear and your enemies will head you in on every side." That happened when the Romans surrounded Jerusalem a generation later and destroyed the city. Several of Christ prophecies were warnings to the Jews of his day that before a generation went by Jerusalem was going to be completely leveled. It happened. The other part of his answer was what will be signs of your coming the end of the world. He said, Well, they'll be earthquakes. They'll be wars in different places, but the end is not yet. The generation phrase is I think specifically dealing with the destruction of Jerusalem. Dean: All right that cleared it up. Thank you very much. Pastor Doug: Good question. I appreciate it. Thank you very much Dean. Pastor Ross: Next call is Raymond listening in Michigan. Raymond welcome to the program. Raymond: Pastors how are you both tonight? Pastor Doug: Good. Thank you for calling. Raymond: My question is why does a human race as this suffer? I know we live in a fallen world and I know that Jesus Christ suffered on the cross, would that have pretty much taken us away from the suffering or we just live in a fallen world and we're going to suffer anyways? Pastor Doug: Well, there are trials the Bible says Jesus said, "Sunshine and rain comes to everybody, the good and the evil". We're in a world where this planet has been kidnapped by an archfiend better known as Satan or the devil. He was once a powerful angel, he rebelled against God, he has claimed the world is his because Adam and Eve listen to the devil instead of God. God said do not do this and the devil said go ahead and they listened to the devil. It says in Romans chapter 6 whoever you obey that's whose servants' you are. Even Jesus referred to the devil as the prince of this world. Satan has brought all kinds of misery and problems in this world. Jesus said, "The devil is the one who's the author of Death." Christ came because he wants us to have abundant life. He doesn't want us to live in fear, he doesn't want us-- Jesus always said, "Do not fear," he said, "I'm coming to give you peace." He said, "I want my joy to remain in you," so peace and joy and the abundant life begin when we come to Christ. Now that doesn't mean Christians never suffer because they do. It's a whole lot easier when you know it's temporary. Paul said our suffering is working something in us that purifies. Christians can look beyond this world, the Bible ends by saying God's taking away all tears from their eyes. Revelation 21 there'll be no more death or pain. We're looking forward to a world where there is no longer any more death no more suffering and all things are made new. But, until Christ comes and we get our bodies that don't grow old we do have to grapple with that. You still there? Raymond: Yes sir I'm still here. Pastor Doug: We've got a DVD that you would probably enjoy that explains this I think you can watch it free online it's called Cosmic Conflict. Anyone out there if you want to better understand why is there sin and suffering in the world just go to YouTube go to the Amazing Facts channel either one, type in Cosmic Conflict watch that DVD. I think is about 45 minutes but it's very clearly animated illustrated to help people understand that. Thank you very much for your question. Pastor Ross: Next caller is Stephen in Kentucky. Hi, Stephen. Pastor Doug: Hi, how can we help you? Stephen: I have a question in regards to the Seventh Day Adventists and the Christmas celebration. You have to understand I'm all over the board on this and I've-- Anyway, how does the Seventh Day Adventist justify Christmas but there's really no emphasis on God's feast days. Pastor Doug: All right. Well, first of all the laws about the feast days are very different from the laws about the seventh day, Sabbath. I don't want to answer this from the perspective of one particular denomination. You asked about Christmas to begin with. I think most Christians know at this point that Jesus was very likely not born the 25th of December. It seems from the Bible that he was born sometime in the fall September so maybe August. The reason we know that is we know when Jesus died he died in the spring. We know he began his ministry at his 30th birthday that's Luke Chapter 3. Jesus ministered three and a half years till he died during the Passover. If you want to find out when he was born you count back three and a half years from the spring and you end up in the fall. Jesus was not born December the shepherds were not out in the fields in Jerusalem but that doesn't mean that as Christians if people are remembering or reading about or telling the story of Christ's birth that we can't make the most of that and say yes it's a wonderful thing that Jesus came as a baby. The gift of God and the condescension of Christ in coming to our world that's a wonderful thing, that's something very different from keeping the Jewish feasts. If a person wants to keep one of the Jewish feast there's no law against that. Paul said, "If one man wants to regard the day to the Lord let him regard it to the Lord but don't judge your brother who doesn't." We believe that in Colossians chapter 2, the annual Sabbaths like Passover, Feast of Trumpets and so forth and those holidays were nailed to the cross. Now, we do have a book we can send you and it's called the Feast Days and Sabbaths or we got Baptized Paganism too either one. It'll help answer that question for you and give you just a little more information. That's probably-- I'm coming out with a new book right now, it's not printed yet but it will be before the end of the year on the Feast days. Should Christians keep the Jewish feast days we get that question a lot. If anyone wants to know more about that we'll be having that book available soon not quite off the press yet. Friends you can tell we've reached the end of our Question Time. We still have some exciting announcements coming. If you didn't get your question on tonight's program we God willing are live again next week and we look forward to visiting with you. This time of year people are thinking about supporting different Christian ministries as you consider that if you've been blessed by Bible Answers Live go to the website let us know and you can click the donate button keep us on the air. God bless until we study next week. Announcement: Thank you for listening to today's broadcast. We hope you understand your Bible even better than before. Bible Answers Live is produced by Amazing Facts, a faith based ministry located in Sacramento California. Announcement: Amazing Facts offers some of the best Christian resources for all ages. We hope our products will enrich your life and your walk with the Lord. Announcement: What does Bible prophecy reveal about the world's two largest religions? Explore the ancient conflict in Islam, Christianity and prophecy. A compelling three part series with Pastor Doug Batchelor. Announcement: Get yours today by calling 800-538-7275 or visit afbookstore.com. Pastor Doug: Every day we make hundreds of decisions. Sometimes these choices are mundane, what will you have for breakfast or what will you wear for work. Sometimes these decisions can have an eternal impact like when you set up an estate plan that supports God's work. We need to move quickly friends to ensure as many souls as possible have the opportunity to make decisions for Christ. When you choose to include your evangelism values in your estate plan today Amazing Facts can do even more to expand God's kingdom through your faithful stewardship. I'd like to offer you a free gift entitled Provide and Protect which is a tremendous resource telling about life and death decisions connected with your estate plan. Contact our plan giving department at 800-436-2695 or visit enduringlegacy.org. You can have the peace of mind that comes from knowing your house is in order. Announcement: You want to know God's plan for our world and solutions for your life's challenges. Beautifully redesigned Amazing Facts 27 Bible study guides provide encouraging Bible based answers to questions on healthier relationships, when Jesus will return and much more. Prefer to watch while you read our brand new prophecy encounters DVD series makes the perfect companion set. Order your study guides and DVDs today by visiting afbookstore.com or by calling 800-538-7275. Announcement: For life changing Christian Resources visit afbookstore.com. Announcement: If you'd like to enhance your study of God's word visit our website at www.amazingfacts.org and sign up for our free Bible study course. 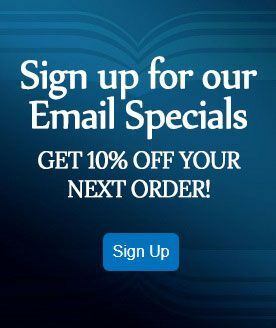 Make sure to check out our online bookstore at afbookstore.com which offers thousands of inspiring books, DVDs and more to help you get the most out of God's word. To take advantage of the offers you've heard on this broadcast call us at 800-835-6747 or visit our website at amazingfacts.org. Did you enjoy this program? Make sure to tell your family and friends. Tune in next time for more Bible Answers Live. Honest and accurate answers to your Bible questions.